Tyre review data from 4 tyre reviews averaging 87% over 13,250 miles driven. Positive - Short dry braking, good dry handling. Negative - Average aquaplaning resistance, long wet braking. Positive - Excellent dry performance, sporty handling with good steering response. Quiet. Overall - The Vorti R was beaten only by the Michelin in the objective and subjective dry tests, and it scored strongly in the wet lap time too. The Vredesteins relatively weak braking and aquaplaning results stopped the tyre making the top three. Sorry, we don't currently have any questions and answers for the Vredestein Ultrac Vorti R. Why not submit a question to our tyre experts using the form below! I've been looking for a decent price quality ultra performance tyre for quite some time now. Initally the choice was between the Micheling PS4S, or the Yokohama Advan Neova AD08R. Then I read the articles about the normal Ultrac Vorti, which were very positive. Since the Vorti R is rather new, and not a lot of reviews are available yet, I decided to give it a try as a guinea pig. 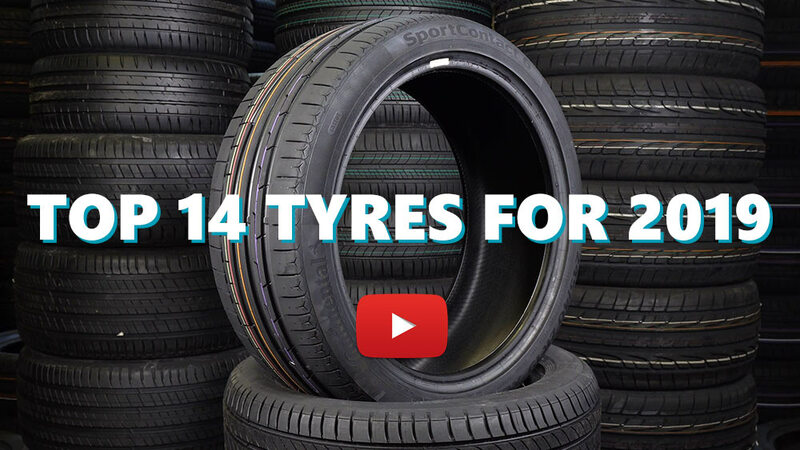 After all one tyre is 50 pounds cheaper than the Michelin so its worth the try. Immediately I could feel the tyres reacted lighter and more direct than the OEM Continental CS6's. Comfort is a lot better, especially on the speed bumps. Dry grip was not that great in the beginning, but now after 200 miles, they are really excellent, as good as the CS6. The big difference is in the cornering, you have a lot more feeling with the tyre and you get more confidence taking the corners at higher speeds than with my CS6's. Also the car reacts a bit quicker, due to the tyre weighing a bit less than others. So far i'm excited of this new tyre of Vredestein, I would advice everybody to try them. Next I will try the Michelin PS4S's so I can compare them with my Vredesteins, but they would have to be a lot in wear to justify the much higher price. Have you driven on the Vredestein Ultrac Vorti R tyre? Please help millions of other drivers make an informed tyre choice and pick the correct tyres for their car by submitting your review of the Ultrac Vorti R.
Having heard very good things about Vredestein tyres, I thought I'd give these a try. Being about £120 a corner delivered, they are far cheaper than the Michelin PS4S, which they are on a par with in a few dry performance tests. After a few hundred miles on the front axle of my 285bhp Alfa Romeo Giulietta QV, I can safely say they grip like the car is on rails and the feedback is excellent. Wet grip is also very good. The tyres are fairly quiet and the sidewalls very stiff meaning feedback is good but comfort on motorways is not affected. They have much more feedback than the already decent Uniroyal RS3's I had on before thanks to being a bit stiffer. For about £120 for a 19" tyre, these are definitely worth the money, and I will probably get them for the back wheels as well when the time comes. They also come with rim protection and are quite a good looking tyre with the carbon fibre look sidewalls. Great tyre I have always used the vorti so when the r came out I had to stick a set on. Great road feedback and superb grip in the dry and wet grip more than enough to challenge compettiters. Even on my front wheel drive astra vxr with 300bhp they grip when pulling away hard and cornering. Due another set now seen about 12000miles out of a set of fronts which I think is great. Love these tyres so much I have put them on my other car too. You won't be disappointed.